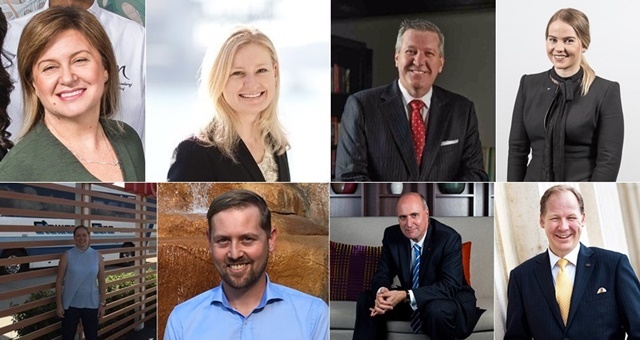 Another round of new General Managers has been unveiled, with the latest crop of promotions and internal movements at hotels around Australia coming from AccorHotels. HM Award-winner Lorraine Mercuri has been summoned to take charge as GM of Swissotel Sydney, moving from the Mercure Sydney International Airport. A veteran with AccorHotels, Mercuri has risen through the ranks in various F&B and management roles dating back to 1992 at the Novotel Wollongong Northbeach. Belinda Paterson has been named the new GM at Pullman Magenta Shores Resort on the NSW Central Coast. Having worked across hotels in the USA and Australia, Paterson joined AccorHotels after the acquisition of Mirvac hotels in 2012. Most recently, she has been in the GM role at Novotel Newcastle Airport. Replacing Lorraine Mercuri at Mercure Sydney International Airport is Zayne Boon. Another long-serving AccorHotels stalwart, Boon has served at multiple hotels across Australia, New Zealand, Thailand and Vietnam before returning to Australia as GM at Novotel Darwin CBD. After kicking off her career with the Mantra Group, Jessica James finds herself now in charge of the Ibis Styles Mt Isa Verona Hotel in the Queensland outback. She joined AccorHotels in 2014 and after completing the AccorHotels Executive Leadership Program (AELP), has worked in a variety of hotels across northern Australia and Brisbane. Still in northern Australia, the new General Manager at Ibis Mackay has been named as Adriette Meyer. Bringing history in both international chain hotels and remote lodges, Meyer has also completed the internal AELP and joins Ibis Mackay from her recent role at Cairns Harbour Lights. As HM previously reported, Cooinda Lodge at Kakadu has welcomed back Benjamin Brown – this time with his wife Erin and two children in tow. Brown met his wife in his former stint at the resort. He replaces Brett Skinner, who held the role for three years. He heads back to the resort having previously served in GM roles at Mantra, Peppers and BreakFree properties on the Gold Coast. Mercure Sydney Parramatta has welcomed Ross Buchanan as its new GM. Ross has travelled through the airline and event sales sectors prior to reaching hotels, having worked with both Mirvac Hotels and Marriott International. He joined AccorHotels in 2011 at the Swissotel Sydney before being promoted to General Manager in 2016. Luxury specialist Rens Breur is now in place at the Sofitel Gold Coast Broadbeach. Breur’s history includes stints with upmarket hotel brands including Sofitel, Fairmont and Langham, where he has climbed the ranks through the F&B division. He has worked in Canada, Bahrain and Macau before finding Australia and working in Melbourne, Sydney and now on the Queensland holiday strip.